Not bad, but they seem more like banners then logos to me. I think something with a clear background would be good. I'm looking for a logo that we can use not only on our website but also on items at http://www.cafepress.com/ and at our local embroidery shop. We will also use the logo in print such as on business cards and letterheads. Thanks for posting the black and white image. Until you mentioned a black and white version I did not even think of it. We do place ads in some local newspapers and having a logo that looks good in black and white too would be a plus. There are a lot of things I like about your logo design and I'm very glad you took the time to enter the contest. Here's what I came up with. Original is done in a much larger size, of course. Not bad, out of your two I like the second one best. I like how Appliance and Junk are broken up instead of both being on one line. That is something I never liked about my own designs. 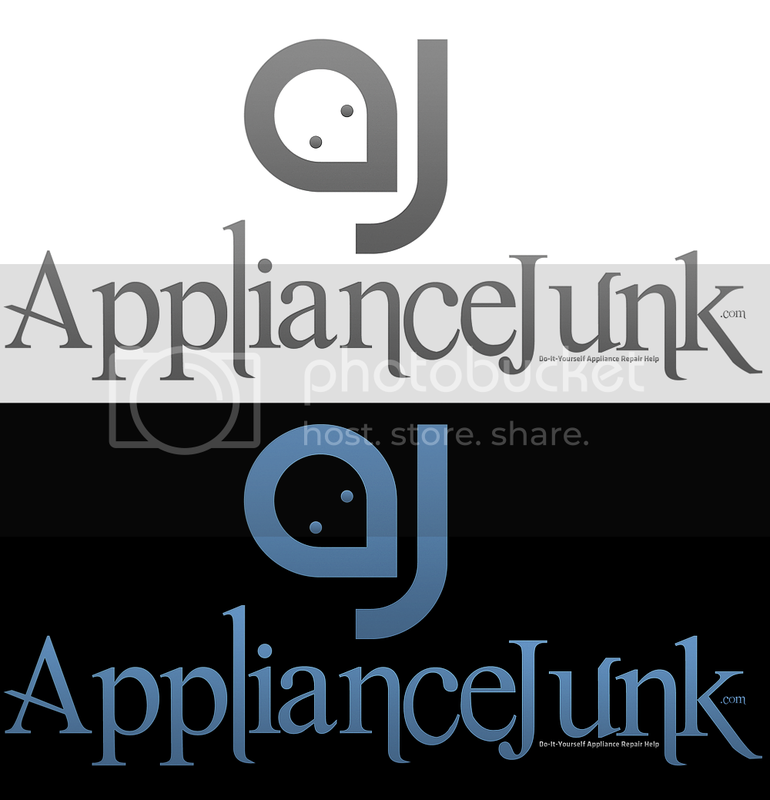 I always would have ApplianceJunk.com all on one line and just never liked the looks of it that way. Having the com part different then the rest of the text whether it be a different size, color, font, etc.. seems to give it a nice look. I am by no means a graphical designer but I thought you might be interested in something that could be used as an Icon with the just the initials. Doing this makes the logo very scalable, in other words it is recognizable at really any size. I really like this font. it kina has a 50's feel to it that makes me think of old appliance that people are still trying to keep alive...lol. The original size is much larger. Interesting A&J at the top. I'm wondering if the .com and text under ApplianceJunk would be to small to see in some cases, but not bad. The image is way bigger, I just resized it. This is something that would go on the actual website. I just wanted to say that this one is my favorite so far. It's professional looking, yet very cool without being all business and no fun. I could envision this on your website, a hat, coffee mug or even the side of a service vehicle. I'm anxious to see if anyone else can come up with something better. AppliancePartsPros.com - Over 2 Million Appliance Parts In-Stock. 365-Day Hassle Free Return Policy! Thought I'd try one more for fun, than I'm off to do dragon work. I will stop in from time to time to see how it's going. This is a png file, so background is transparent (click image to enlarge).